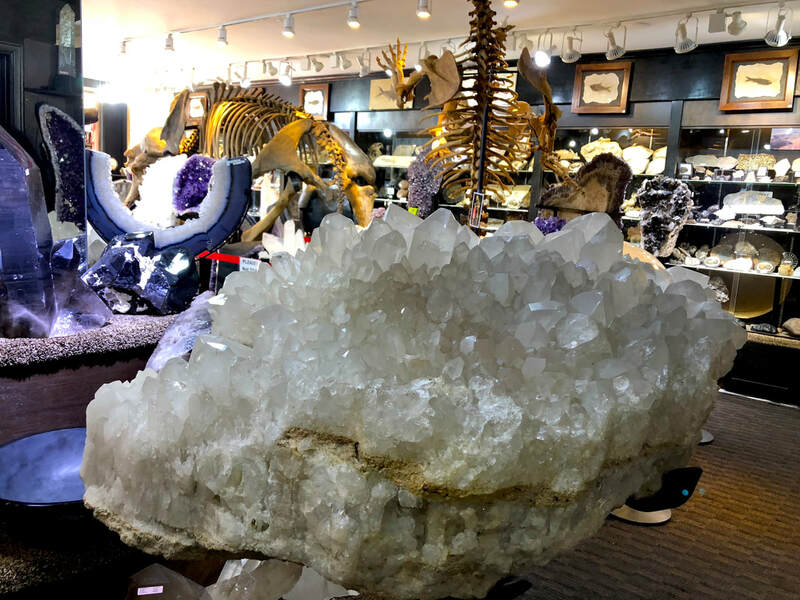 PIRATE GOLD COINS: TREASURES OF THE EARTH IS PROUD TO PRESENT THIS QUARTZ CRYSTAL WITH SOME OF THE BEST FORMATIONS WE'VE SEEN ON A SPINNING STAND! 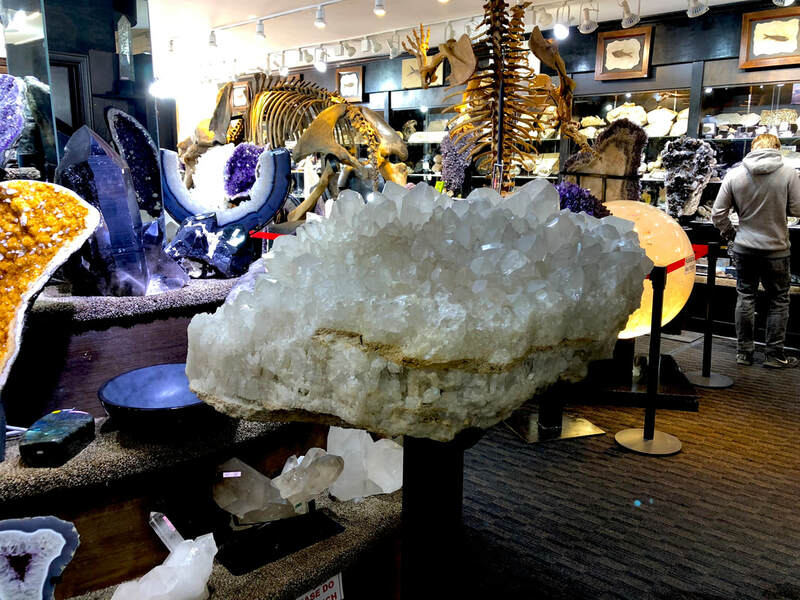 (Sticker price in store is $75,000) Quartz belongs to the trigonal crystal system. 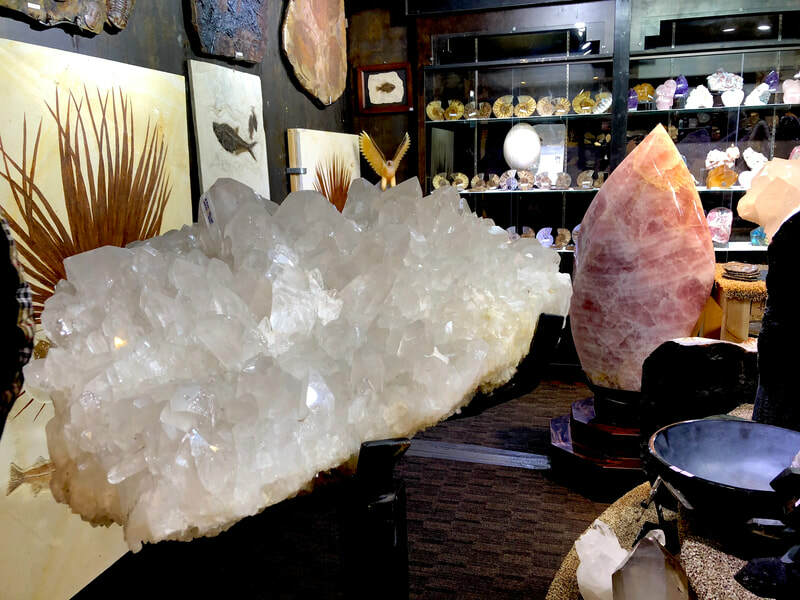 The ideal crystal shape is a six-sided prism terminating with six-sided pyramids at each end. 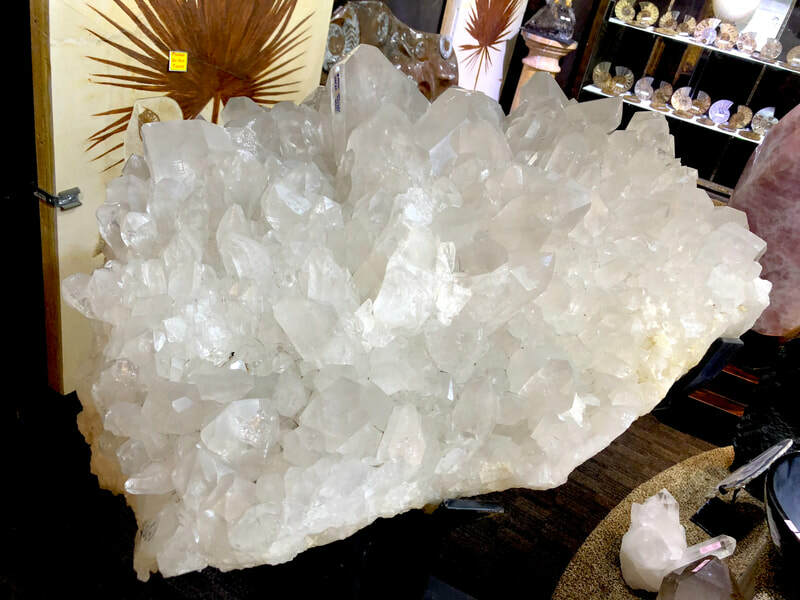 In nature quartz crystals are often twinned (with twin right-handed and left-handed quartz crystals), distorted, or so intergrown with adjacent crystals of quartz or other minerals as to only show part of this shape, or to lack obvious crystal faces altogether and appear massive. 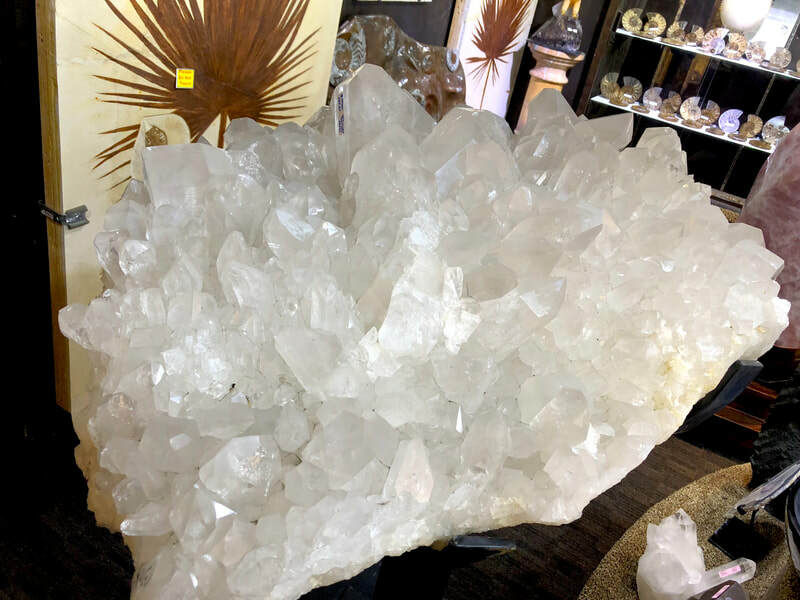 Well-formed crystals typically form in a 'bed' that has unconstrained growth into a void; usually the crystals are attached at the other end to a matrix and only one termination pyramid is present. 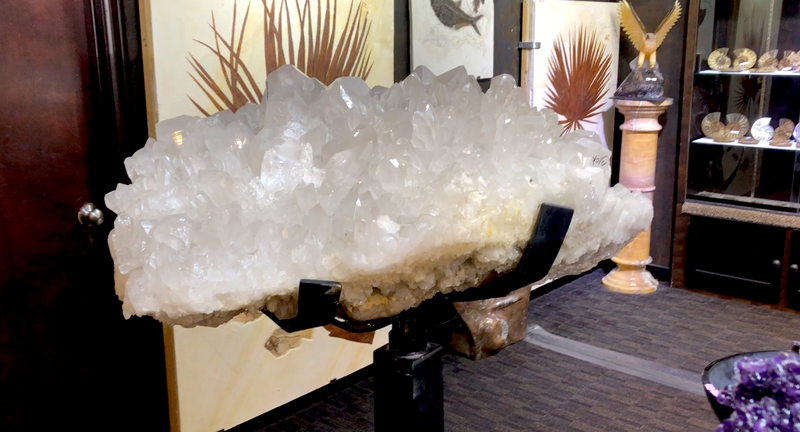 However, doubly terminated crystals do occur where they develop freely without attachment, for instance within gypsum. 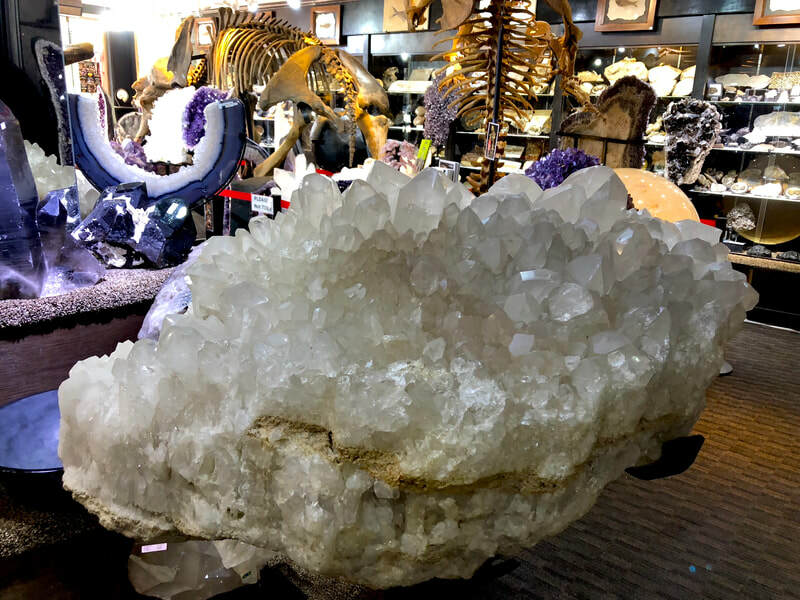 A quartz geode is such a situation where the void is approximately spherical in shape, lined with a bed of crystals pointing inward. 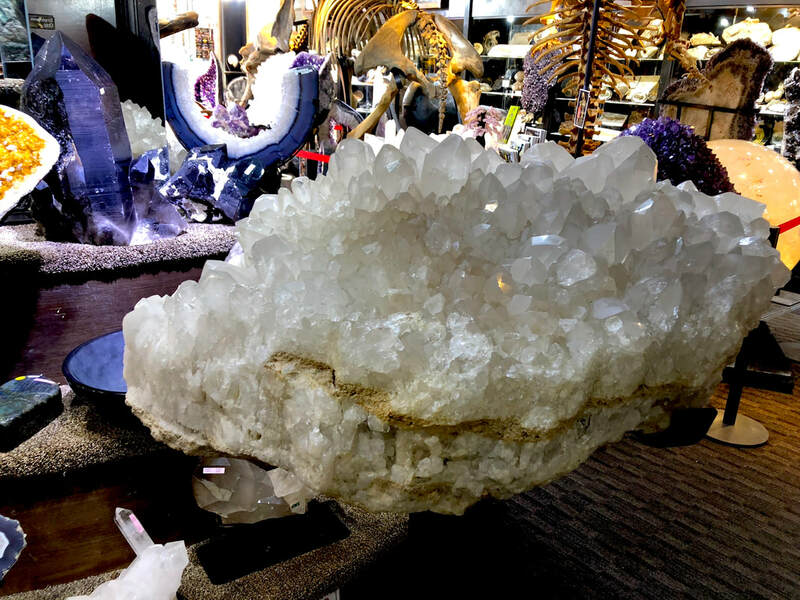 α-quartz crystallizes in the trigonal crystal system, space group P3121 or P3221 depending on the chirality. 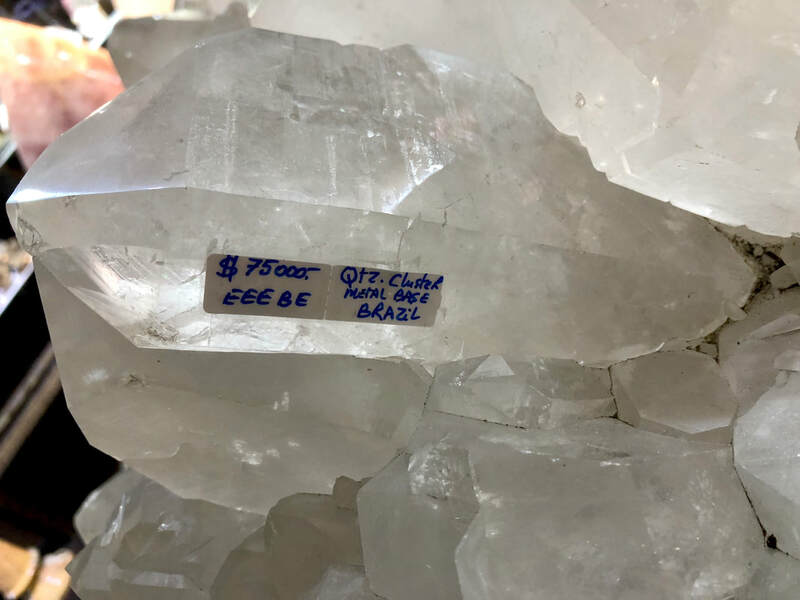 β-quartz belongs to the hexagonal system, space group P6222 and P6422, respectively. These space groups are truly chiral (they each belong to the 11 enantiomorphous pairs). 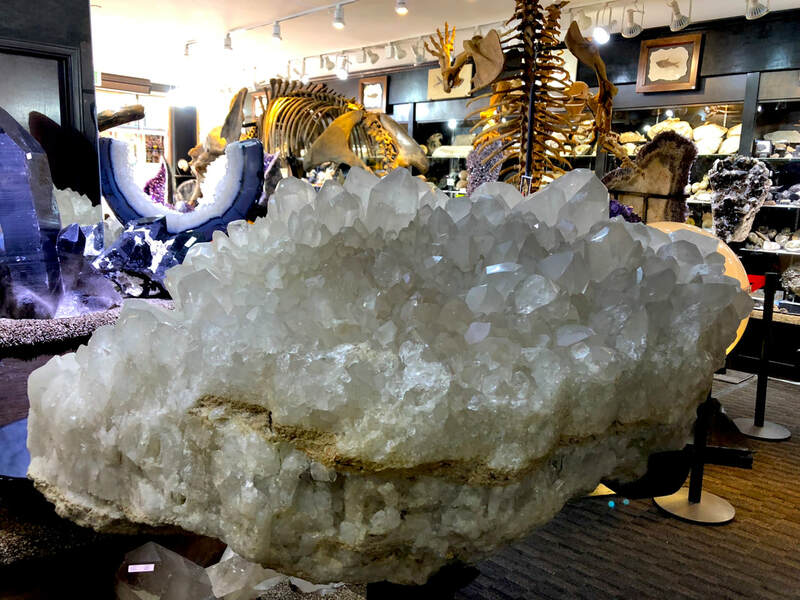 Both α-quartz and β-quartz are examples of chiral crystal structures composed of achiral building blocks (SiO4 tetrahedra in the present case). 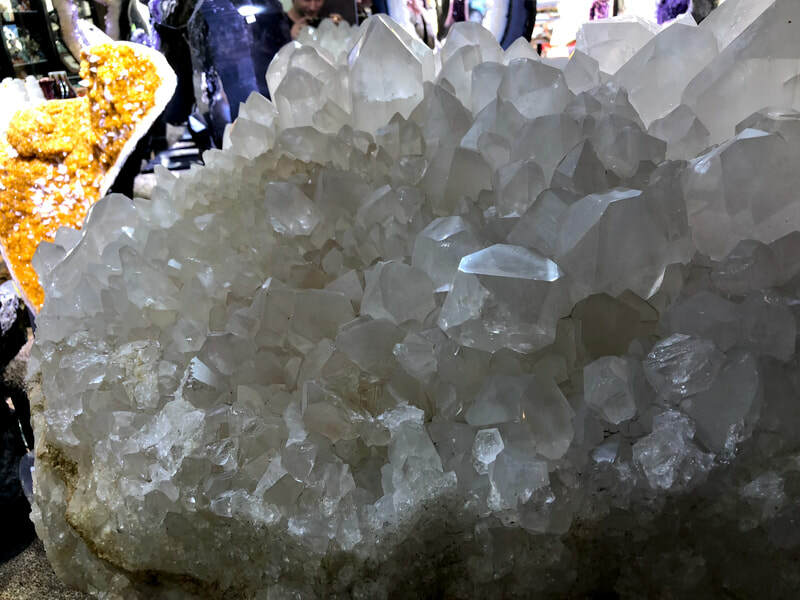 The transformation between α- and β-quartz only involves a comparatively minor rotation of the tetrahedra with respect to one another, without change in the way they are linked.